SCANDAL, who established a private record label, will be releasing their first double A-side single 『Masterpiece / Mabataki』 on 3/27! 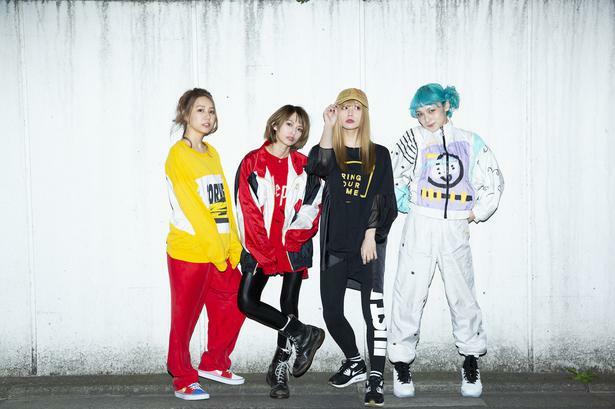 SCANDAL has established a private record label. The first work they will be releasing on their label on 3/27 is the band's first double A-side single, 『Masterpiece / Mabataki』. 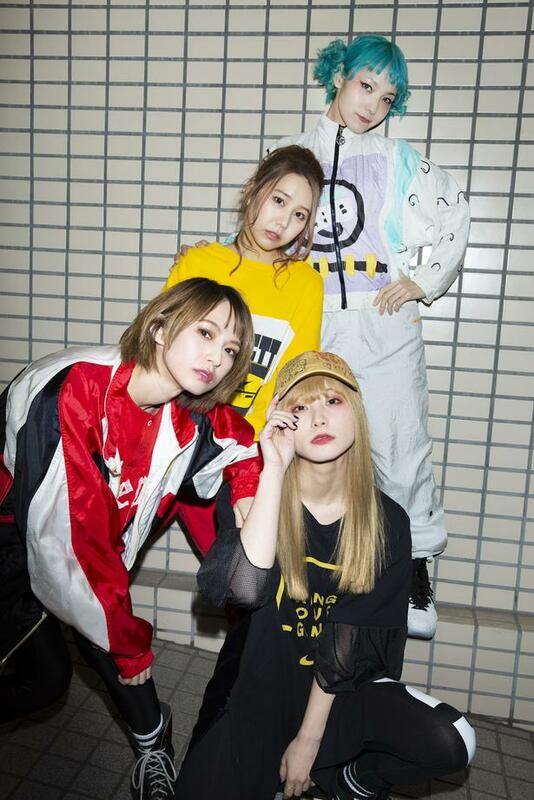 We asked HARUNA, MAMI, TOMOMI, and RINA about the details on how their label was started, as well as their latest work that starts the band's second chapter. ―Before talking about your new single, we'll be asking about your private record label "her." When did you start thinking about establishing a label? HARUNA: Last year we celebrated the tenth anniversary of our major label debut, but right before that is around when we started thinking, "It'd be great to do something new in anticipation of SCANDAL's second chapter." As we were discussing that, it flowed to, "How about establishing a private record label?" We prepared for it and were able to launch it this year. ―I'm the sure the members all felt that reaching the point of ten years after having your major label debut was a major break for the band. RINA: Yes. It felt like a major break. It was also a year where we felt we got to experience all sorts of things, and our desire to do something new reached its peak. After we released our album 『HONEY』 last February, we couldn't make songs right away that made it seem like "This is it!"... Up until then, we'd digest the desire to do something new whenever we'd write a new song. However, we didn't feel that last year. We thought it'd be best if we created a new place before we created new songs. We needed a change that would completely change our environment. Since we had those kinds of thoughts, we needed a lot of courage. We decided to establish a label ourselves and make a style of releasing things from there. Accordingly, our music-making started to go smoothly after we decided to establish a label, which means that this was the right thing to do. ―Did all of you come up with "her" for the label's name? RINA: We all discussed what name would be good. We had the general framework of going with a name that would tell you at first glance that it's an all-girl band's label, but there's a surprisingly limited amount of words that directly remind you of women. It was kind of like, 「"she" doesn't feel right. So, maybe "her"」. MAMI: The word "her" came out in a very natural flow. I think it's because it was close to what we were thinking of. TOMOMI: The word "her" is the theme we have within ourselves―rather, if there was a book about ourselves, we'd want that word to be the title. It felt like we were moving anew when we established our private label, but perhaps it felt more realistic when we decided on a name. It feels that comfortable. ―It doesn't mean that your recording and music production style have changed greatly, but it's a big change emotional-wise to decide on the name of your label and release your work on there. ―Its first work will be the band's first double A-side single, 『Masterpiece / Mabataki』. This song [Masterpiece] features lyrics by RINA and music by MAMI. MAMI: 「Masterpiece」 had a completely different arrangement when it was just a demo song. The members and the staff liked the song when I made the demo, and we talked about how we'd like to release it someday. But, at that time, we thought that the timing was a little off and I therefore did not give the song shape. Even though I would make songs, I wouldn't stockpile them if the timing didn't work out. However, this time, everyone told me, "That song would be great! ", and I tried throwing away my stubborn sense of pride a bit (laughs). But, since only the original arrangement would come to mind, I had Keita Kawaguchi-san do the arrangement. Lyrics-wise, since I entrenched myself and didn't think I could write them well, I had RINA write them. ―RINA, what kind of lyrics did you decide to place on MAMI's song? RINA: The four of us had always been talking about how a cheerful song would be nice, so I thought that lyrics with that kind of content would be good. Because the four of us reaching the tenth year of being a major-label band is linked to us having greater confidence in ourselves, I thought that having content that acknowledged that and pumped out our story would be good. It's our starting song, and since we made it a song that's like 「If we're debuting again, we have to make it this single!」, and since the other three members told me, 「Sounds great!」 when I told them my thoughts in the studio, I began writing the lyrics. ―You included what the four of you have been through up until now, as well as what's to come. HARUNA: We had sang and performed it live several times before we recorded it, but there was a unique sense of tension when it came to recording vocals for it. Even though I should have been used to singing it, I felt like I couldn't shake off that sense of tension. I sang it over and over again, like, "I'll sing it until we've gotten a good take!" It's become the starting song for SCANDAL's second chapter, and since the lyrics are straight-forward, I tried to sing it frankly and not change it too much so that its message could be delivered properly. TOMOMI: Our recording was influenced by our live performances of the song. There haven't been many times when we've recorded a song after playing it live. That's why we wanted to lock up the atmosphere we had when playing this song live, and tried getting it close to our live sound, including our instruments; equipment; and settings. It was really fresh and a lot of fun. RINA: It wasn't like we recorded from zero a song that we just made; the song and how we performed it live was ingrained in our bodies, so I think that was really good. ―What did you ask of the arranger Kawaguchi-san? MAMI: Kawaguchi-san has been watching SCANDAL since our major label debut and knows about the current us, so we thought that asking him would be the right thing to do. Basically, we told him that we wanted the band to be the main source of sound, and we started from telling him, 『At any rate, make it heavy』. I put strings into the demo I made, which gave it a pretty sound, but I said, 『Get rid of it!』 (laughs). Then, we made it by exchanging it over and over again. ―It feels like, including the music; lyrics; and arrangement, it turned out to be a song that could be delivered to the fans with confidence. It also has the title 「Masterpiece」. MAMI: The title gives you a feeling of, 「How's this for you!」 (laughs). 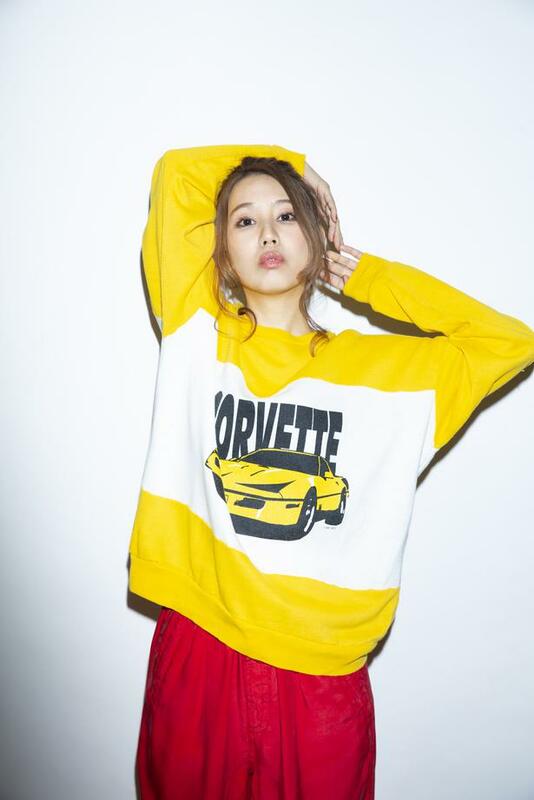 ―Also, the second song on the single, 「Mabataki」, features lyrics and music by RINA, with arrangement by MAMI. 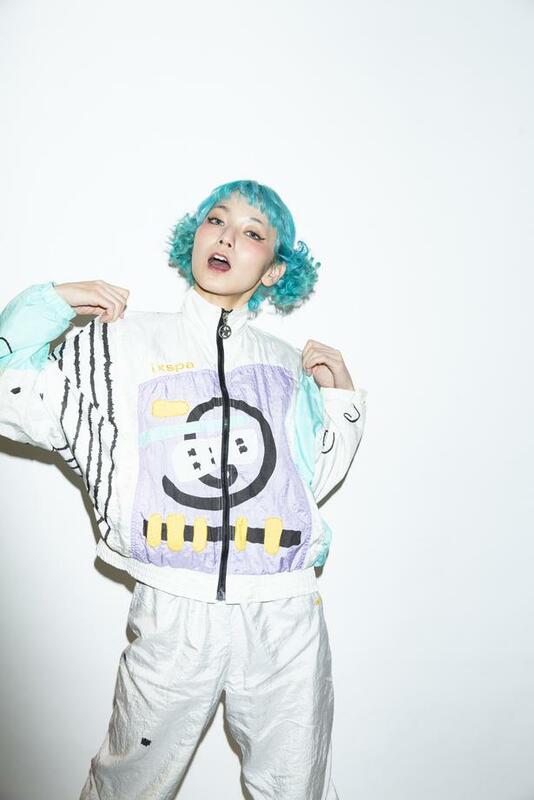 RINA: I was able to write this song relatively around the same time we decided on the name "her" for our label. It's very personal and feminine, and it makes me feel like, "It's completely fine to have a song with a sweet worldview to it." It's precisely because we started a label called "her" that I wanted the four of us to perform this kind of song. I think "SCANDAL" has a strong woman image attached to it. Because that's also SCANDAL-like, I want to keep launching out those aspects while desiring them. I think we have a 「Mabataki」-like femininity within us, so I'm happy that it was able to take shape at this timing. Since 「Masterpiece」 is a completely different type of song, I'm really looking forward to the fans' reactions. 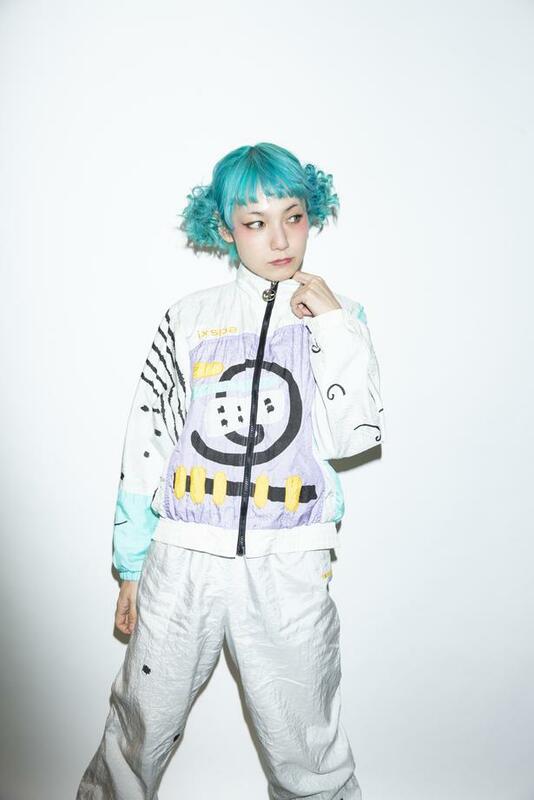 MAMI: As for the arrangement, RINA already knew what kind of song she wanted it to be, so I made it in line with that thought. HARUNA: Since it's pretty personal song, I tried to sing it very gently and softly. It's the complete opposite of 「Masterpiece」, and such extremely different songs were born. Being able to sing those is a moment that makes me think of how much fun it is to be in SCANDAL. 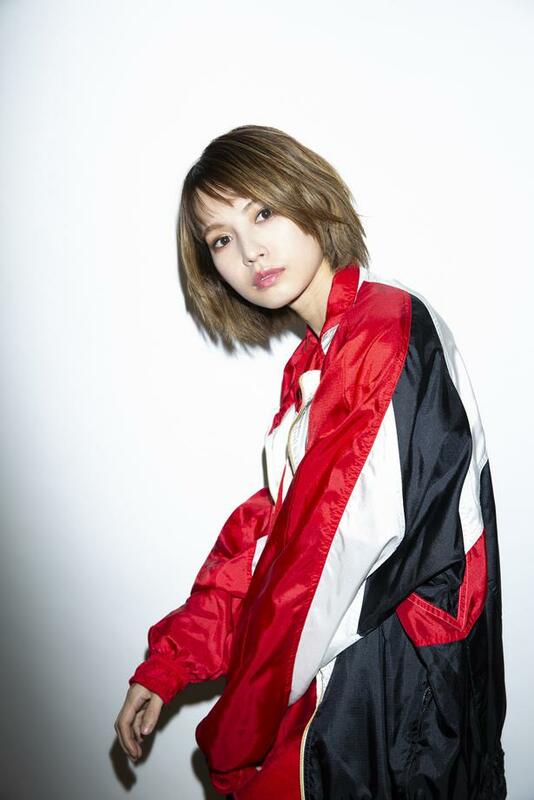 RINA: This features dual vocals, with TOMOMI singing as well. I wanted it to be sung in a way that would make people feel relaxed, so I told them, 「Sing it with around 10% power」 (laughs). TOMOMI: It was fun singing it (laughs). Like what everyone else is saying, we broke the rules by daring to make two different types of songs into a double A-side single―rather, it made us think that we can make songs from any angle from here on. 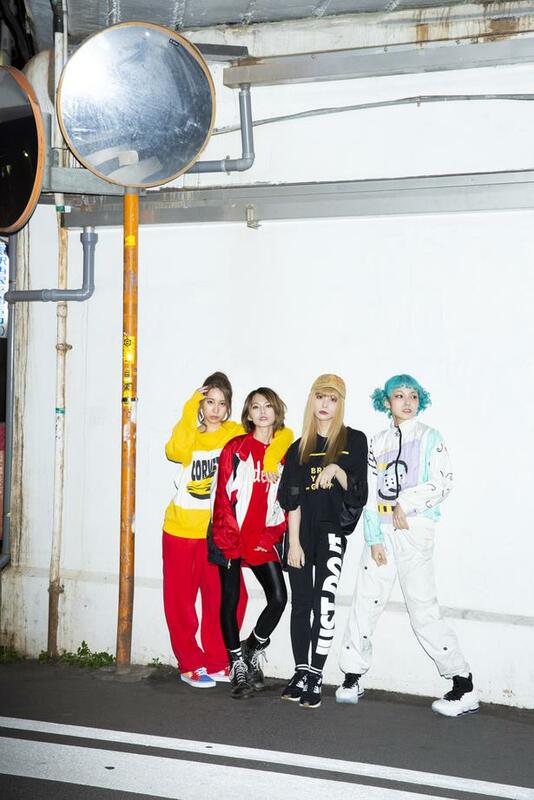 ―Well then, after releasing this single, you'll be going on 「SCANDAL TOUR 2019 "Fuzzy Summer Mood"」, a nationwide tour that starts in June. What kind of tour will it be? RINA: The title "Fuzzy Summer Mood" perfectly represents our current mode. We hope it'll be a live house tour that incorporates fuzzy feelings and a nice looseness. HARUNA: It'll be held from June to the beginning of July, the exact period of time when it becomes summer, and it might change rapidly with each performance. Also, since the season of summer festivals will start after our tour ends, we want to build up a lot of strength while on tour. Important interview, thanks Jade. Was this maybe the first time they've performed a song before recording it? I understand the Stones used to do that, and think that's why their recordings are the best in the business. Until now! Lots of the classic era rock bands used to perform songs live before recording: Neil Young, Bob Dylan, The Who, Grateful Dead... In some cases the only known version of some songs is a live performance. Back in the 70s and early 80s when bands like Fleetwood Mac and Boston would take their sweet time experimenting in the studio and recording multiple overdubs, Van Halen would record live and many of their songs were completed in one take. This was because they would perform the tunes live before recording. Personally, I think this makes for good energy in the final song. "Masterpiece" displays that well. Nice interview overall. The ladies are far too polite to ever present any dirt on on their old label and management to give a deeper, more rounded understanding of why they've gone independent.